In Canada, Sikhs are the largest religious group among Indo-Canadians; the 2001 Canadian Census puts their number at 278,410 Sikhs in Canada. According to the 2004 Census, however, a more accurate number puts the number closer to 400,000. In the 1890s up until the early to mid 20th c., all immigrants coming from India were indiscriminately called and labelled under the general designation "Hindu" even if beyond 98% of South Asian immigrants were in fact Sikhs (figures and facts taken from "Sikhism" art., in The Canadian Encyclopedia). Since the Partition of India in 1947, along with immigration trends in Canada, as a direct result of so many circumstances, Sikh communities have elected to make Canada their home. Nowadays, even if the Sikh community seems to benefit and thrive in Canada's national policy of multiculturalism, which promotes cultural minorities; although, despite this, the Sikh community has in recent years undergone some integration issues as a consequence of all of the polemics surrounding Sikh police officers wearing turbans in the RCMP, and also all of the press generated by the Quebec kirpan debate. In my last blogpost (Colourful Languages) I had briefly examined the British Raj - the British rule in India - and some of the cross-cultural linguistic influences that made it into our vocabularies, words from which Modern English has inherited among Persian, Arabic, Sanskrit and Hindi-Urdu terms they learned in the Asian Subcontinent. In one of my earlier articles from last month (Canada Speaks), I also examined StatsCan results showing the rise of Punjabi (the language spoken by Sikhs) as one of the top immigrant languages in Canada. In short, all of this got me thinking about the origins of Sikhism - which as you shall read (at least I hope you will) - a belief system which emerged as a direct result of the Muslim conquests of India and Mughal rule; it is a syncretic was of thinking that resulted from a from a clash of cultures... All this inspired me to talk a little bit about Sikhism and some more about India's colourful past - to take a look at its rich history and origins. Sikhism is often a misunderstood religion, therefore I thought that maybe taking a quick look at its historical foundations would assuredly make many people appreciate it more. In the Indian Subcontinent, while the commonly-shared origins of Jainism and Buddhism developed during a period of intense social and cultural disruption - dating back to the 6th century BC - the story of Sikhism is not too dissimilar. The origins of the Sikh religion/dharma also comes from a great social upheaval, and this time the appearance of this new way of thinking would come about from a great dialogue between the two great religious traditions of 15th century India. Then, the obvious question that begs to be answered: What are these two great religions which are the "parents" of Sikhism? While Hinduism was indeed the mother, Islam can be considered the father of Sikhism. Sikhism, one might say, is like a "child" born of the union of two very different "parents". In its very own creative way, Sikhism combines the very creative strict monotheism of Islam with the Hindu belief in reincarnation; a unique combination which comes from the historical and personal experiences of the founder of the religion, Guru Nanak. Guru Nanak (1469-1539 CE) was the founder of Sikhism - or the Sikh religion. His iconography usually represents him as an old man with a long white beard and wearing a turban, but this representation is purely allegorical. No one knows what he really looked like, as it is unclear what looked like the Buddha, Jesus and Mohammad. Nanak was born in northern India - in the Punjab region - more than five hundred years ago, in 1469. Muslims had already entered and occupied the Punjab centuries before the birth of Nanak and his father, Kalu, who was an accountant at the service of local Muslim lord, Rai Bular. The term Punjab is made of two Sanskrit words, "punj" (five) and "ab" (water), and it simply makes reference to the five rivers that are found there in the Punjab region, hence it literally translates to "The Land of the Five Rivers". 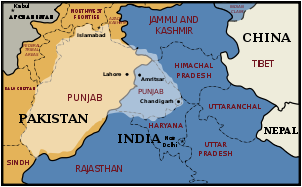 At present time, the Punjab is a region divided between India and Pakistan. The people of the Punjab are called Punjabis and so is their language, Punjabi. Nowadays, since the Partition of 1947, The bigger section of the Punjab is now part of Pakistan. The Pakistani part of the region is termed West Punjab, as opposed to East Punjab in India Which lies and its official designation is the Indian State of Punjab. The populations of the region are similarly divided as 87,000,000 (approx.) in West Punjab (Pakistan) and 25,000,000 (approx.) in the present-day State of (East Punjab) (India). Living in the village of Talvandi, most likely populated by a majority of Hindus, Nanak was raised in the Hindu faith, but Sikhs insist that the spiritual qualities of the child were similarly recognized by the Hindus and Muslims. 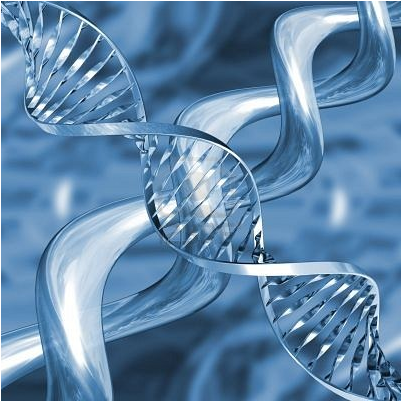 The convergence is a bit like two DNA strands forming a double helix to train from each parent a new entity. 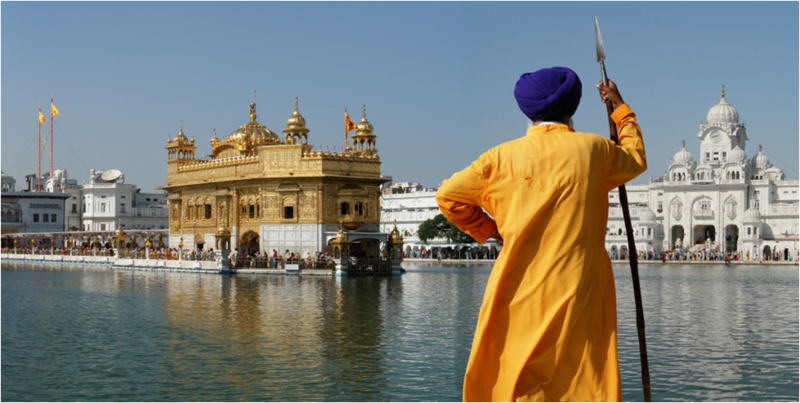 Sikhism is born of the union between two major historical currents, one side brought the religion to the Punjab during the Muslim conquest of India, and the other is the religion "du pays" (of the country), that is to say Hinduism - which was already there in one form or another for thousands of years. So, to understand Sikhism, we must first explore the universe or the world of Guru Nanak, the founder of this new religion. The history of religions is intimately tied to the history of place and people. It is much more than remembering names and dates, but to understand Sikhism in a way is like understanding the various historical currents of that came together in order to form a certain way of thinking, or being, and in relation to the exploration of Sikh cultural roots, this means it is an exploration of the Punjab cultural context of the 15th century, a world which greatly influenced Guru Nanak's perception of the world. The Hindu "current" that forms an integral part in the emergence of Sikhism is a religious or cultural trait which allows the follower or believer to possess an existential curiosity which can freely ask questions surrounding the metaphysics of his/her own life in order to find meaning in it. Two of the major world religions, Hinduism and Buddhism - and as a minority, Jainism - all find their origins in ancient India. For thousands of years, seemingly, there have been peoples and cultures who have concerned themselves with existential questions to such an extent, that eventually over the course of time - millennia - there has emerged the tradition of the guru. During the era of the ancient Hindu period, there were several branches of philosophy where students sat with inquisitive master philosophers - or spiritual teachers - in order to question and debate, to learn from these wise gurus. Learning in the Hindu universe was always very important and early enough in the history of India - in as early as the reign of Asoka the Great, in the 3rd century CE - this was an epoch in which Indian universities became renowned throughout the ancient world. It is this kind of inquisitive nature that forms an integral part of Hinduism and has seemingly always existed in one form or another in the Subcontinent's rich history that Guru Nanak has inherited and that it has consequently made its way into the heart of Sikhism. This cultural tradition of the Indian guru is quite evident in Sikhism. Along with Guru Nanak, the founder of Sikhism, there are a total of ten Gurus who succeeded him as spiritual leaders in the Sikh community - until the time when the Sikh holy book first appeared, called the Adi Granth; a book which eventually became the embodiment of the Sikh faith and became a guru in itself. This helps shed light on the name of the Sikh temple which is called the gurdwara, a term that comes from the Sanskrit, gur(u), as in guru, and dwar(a), "door" (actually the resemblance between Sanskrit "dwar" and Modern English "door" is not accidental, for they are related, IE cognates), and therefore gurdwara quite literally means "the door of the guru". The cultural backdrop and existential philosophical curiosity of Sikhism finds its origins in the Indian/Hindu traditions surrounding the role of the guru, along with other "native" theoretical notions pertaining to karma, samsara and moksha. Another purely Indian/Hindu concept is that of nirguna brahman, a manner in which the Divinity is perceived "without attributes" - essentially meaning without any iconographic representation of God; this last contribution could also be a Muslim contribution to Sikhism, since there is a proscription in Islam against the creation of sentient living beings, and most importantly against iconic depictions of Allah - God. The Muslim historical "current" can be said to have been introduced into the Indian universe with a violent shock in the form of raids, because the Muslim conquests of India started with Mahmud of Ghazni - Ghazni is located on the other side of the Hindu Kush, which corresponds to the border region of present-day India and Afghanistan. Between the years 1000 and 1026, Mahmud led to 17 separate raids infiltrating the Hindu Kush mountains into the Indian subcontinent, looting Hindu temples of their precious stones and returning home each time with these riches which he appropriated from the Hindus. However, Mahmud and his army did not return to Ghazni merely with booty, but also with masses of Indian prisoners who became his slaves. In fact, it is thanks to these slaves that the town of Ghazni, where Mahmud came, became therefore a work, a great center of Islamic culture during that time. 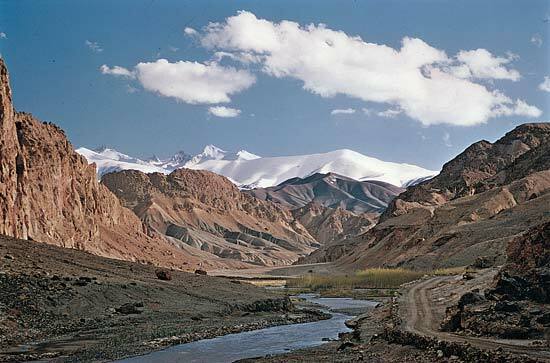 On one of these particular raids into India, in 1024, Mahmud left Ghazni, crossed the the Hindu Kush mountain range with 30,000 of his fellow Muslim brethren, fully armed, infiltrated India which lay on the other side of the mountains. This particular raid history records as a bloody battle that is supposed to have claimed the lives of an estimated 50,000 people. It can therefore be said that this raid by Mahmud of Ghazni was one of the first of many Muslim conquests into India that would make the Islamic world collide with the neighbouring Hindu universe. Although Mahmud's death in 1030 marked the end of his reign of terror over North India, and that following this the territories he had conquered would subsequently be lost by his followers; in spite of all this, it can nonetheless be stated that this violent clash between the Muslim and Hindu/Indian worlds would mark the beginning of a cultural convergence in the Punjab, where centuries later Guru Nanak (b. 1469) would be born. In order to better understand Guru Nanak's world - in 15th century Punjab - while it is important to acknowledge the cultural foundations of the Indo-Islamic cultural presence in North India, it is just as important to look at those Muslim conquerors who would follow in Mahmud of Ghazni's footsteps. Other Muslim rulers who had witnessed Mahmud's successful raids, in turn, also saw what India promised them - not only the chance to fight for the wealth and riches India had to offer, but also to fight for Allah against the Hindu infidels. Around 1206, the Sultan Aibak Kutb-ud-din established a kingdom - or rather a sultanate - in the north of India. Its capital city was Delhi. Much blood was shed, as there are hundreds of thousands of Indians who were killed when the Sultanate of Delhi conquered most of the land between the Indus and Ganges rivers. Impressively, the Qutb Minar - a minaret built by the Sultan Aibak Kutb-ud-din in the year 1198 - still stands in Delhi to this day. The red sandstone and marble minaret has stood the test of time and is an exquisite example of Indo-Islamic Afghan architecture. Aside from being the tallest minaret in India, it is also a UNESCO World Heritage Site. 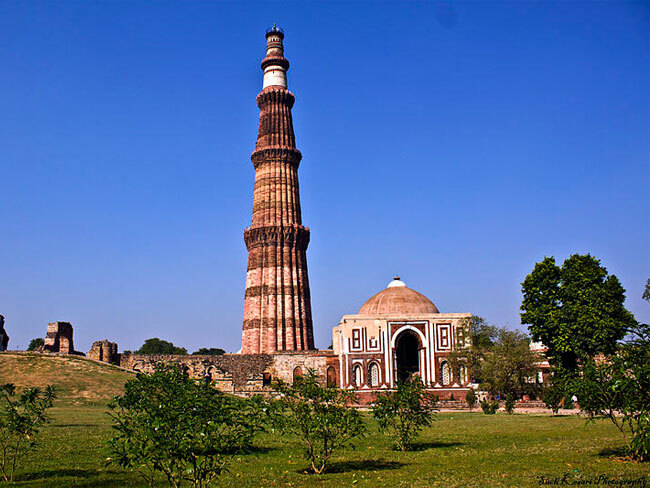 The Qutb Minar was built under the reign of Kutb himself to commemorate his victory over northern India. For several centuries after the Delhi Sultanate was established, the Muslim conquerors following in the footsteps of Sultan Kutb followed a policy of cruelty to Hindus. The Muslim conquests of India, however, do not end with the establishment of Islam in North India with the Sultanate of Qutb. The existence of the Sultanate of Qutb did not prevent other attacks from the Muslim world - this time from a man named Timur (or Timer Lang or Tamerlane depending on sources), a Mongolian warrior who came from afar - from the region of present Uzbekistan in Asia Minor. At the end of the year 1300, Tamerlane had conquered much of Central Asia and continued until he founded an empire which bore his name, called the Timurid Empire. Despite the fact that Tamerlane was a Muslim Mongol warrior, this did not prevent him in the least from attacking the Delhi Sultanate. The end result: in 1398 Delhi was destroyed and thousands of people, Muslims and Hindus, were killed. This is where Guru Nanak's (1469-1539 CE) world and reality seem to take shape, for during his native Punjab was part of the Muslim conquests, which after the establishment of the reign of the Tamerlane - after his death his Mongol descendants would inherit his conquests, forging out an empire which would simply be known as the Mongol Empire - or rather known by its Persian version which is Mogul (also spelled Moghul). In Guru Nanak's lifetime, he lived under the reign of the Mongol leader Babur - a descendant of Tamerlane - who established this succession of power over the Punjab region. Even if the reign of Babur lasted only a few years, until his death in 1530 (by comparison Guru Nanak died in 1539), it is under his reign that the Mogul dynasty was established. On the map you can see the final result of these Mogul conquests which Tamerlane commenced. The grandson of Babur, called simply Akbar the Great, became recognized as one of the greatest monarchs in history (contemporary of Queen Elizabeth I of England). Akbar became emperor in 1556 at the age of 13, and reigning for almost 50 years, early in his reign he managed to spread the Mogul Empire to comprise all the territories of northern and central India. 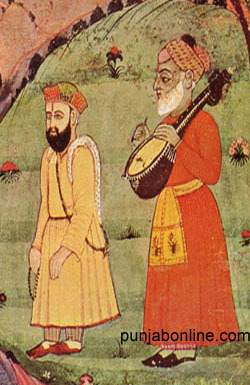 It can be seen that the era in which the Guru Nanak lived - under the reign of Babur - that in the Punjab, was a significant historical period of social upheaval and great cultural change - not only a convergence of two cultures and/or religions, but quite literally a clash of civilizations between Islam and the Hindu/Indian worlds. The sacred stories of Nanak's childhood tell us that, as a child, Nanak was already involved in the dialogue between religions. Born into a Hindu family, belonging to the Kshatriya caste, in the Punjab, Nanak was assisted in his spiritual quest by Mardana, his family's Muslim servant. When he was thirty, Guru Nanak had his most powerful religious experience. When left alone in the woods one day, he had a vision. He met God and he received his destiny religious leader. It is after this vision he declared his famous sentence that "God is not a Hindu nor Muslim, and the path I follow is God's way." This sentence is the foundation on which rests Sikhism; a declaration of belief that is just as important to Sikhs today as is the shahadah (the testimony of faith) for Islam. Emperor Akbar was very tolerant. In many ways, he is a perfect example of the distinctive haute culture attributed to the Moghuls. Among other things, he married a Rajput princess - a Hindu. Also, he allowed the women of his harem to practice the rites of their own religion. He even abolished the special tax that Moghul rulers before him had imposed on non-Muslims, essentially a discriminatory tax imposed on Hindus for centuries. Akbar wanted to become the emperor of all religions, not just for the Muslims. He went even so far as to listen to Portuguese Jesuit missionaries whom he invited to conduct a vigorous debate with the Muslim divine royal court. 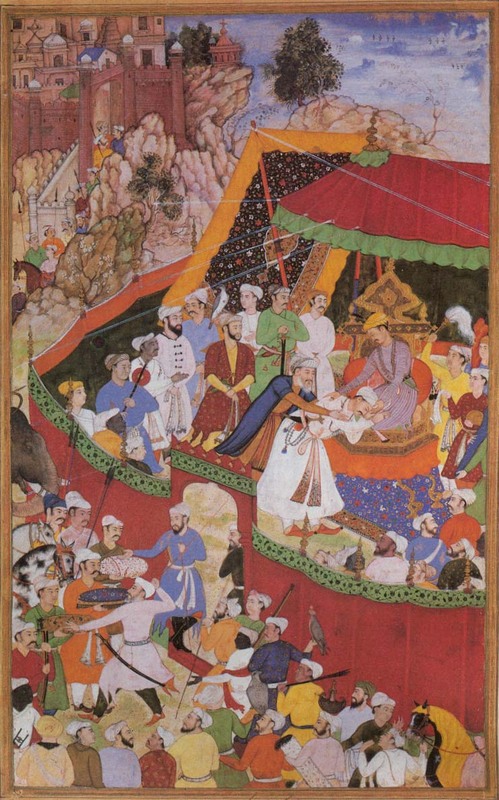 Akbar had a reputation of being very tolerant towards other religions. Apparently this was due to the fact that when he was 18, he went alone into the desert to pray and think. He heard a voice that asked him to find his spiritual path, and this is what he did for the rest of his life. During his reign, Akbar invited to his court Taoist monks, Confucian scholars, and Catholic priests. Akbar had even gone so far as to attempt to establish a new religion he had invented, a kind of hodge-podge religion incorporating elements from Islam, Zoroastrianism, interspersed with Hinduism. Ultimately this new religion would only be popular mainly among some overcautious courtiers who were all too eager to please Akbar. Religious syncretism was definitely in the air in 16th century India, as demonstrated by Akbar (b.1542-1605) and the Moghul culture of this time. This kind of religious tolerance and cultural exchanges that were taking place certainly help to understand le bain culturel d'idees (lit. cultural bath of ideas) that had taken root in the Subcontinent since the arrival of conquering Muslims centuries before. Akbar's rather eclectic views on religious thinking have much in common with the Guru Nanak's (1469-1539) syncretism, the founder of the Sikh faith having lived a little before Akbar's lifetime. All this greatly helps us to understand the birthplace of Sikhism, and all of the circumstances surrounding its emergence. When I think of Sikhs here in Canada, I cannot help but feel that somehow they have brought here a little piece of the Punjab with them. W.H. McLeod (1989) The Sikhs: History, Religion, and Society. Annemarie Schimmel & Burzine K. Waghmar (2004) The Empire of the Great Mughals: History, Art and Culture. Andre Wink (2002) Al-Hind, the Making of the Indo-Islamic World. Volume 1, Early Medieval India and the Expansion of Islam 7th-11th centuries.